Between the urban centres of northern Italy you still can travel along roads that were built by the Romans. One of these old roads is the “Via Emilia”. It is connecting Parma, Reggio Emilia, Modena, Bologna, Forlì, and eventually Rimini at the Adriatic Sea. 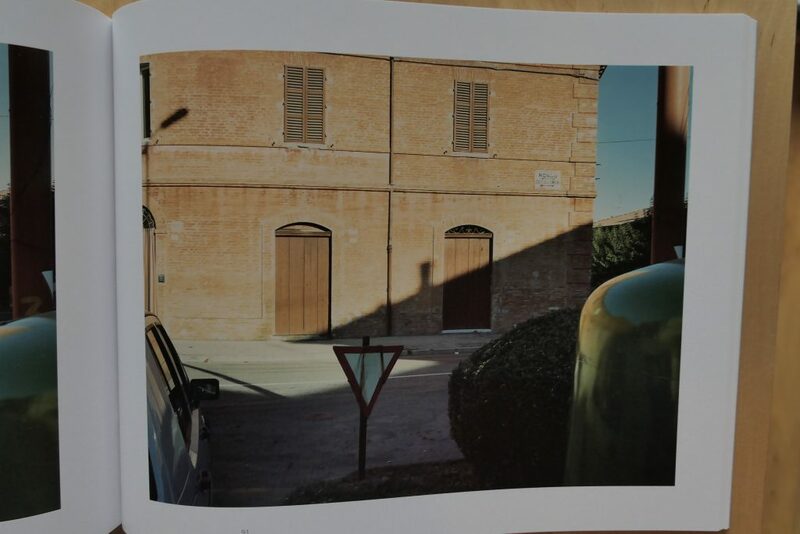 It is along this road, somewhere in the perifery of Cesena, that Italian photographer Guido Guidi has been living and working all his life. And as a monumental tribute to Mr. Guidi’s life and work in this area, Mack has published last year Per Strada (On the Road). The publication counts not less than 464 pages, printed in three volumes. The images are made between 1980 and 1994. They are grouped into small chapters each referring to the different geographical subareas on and around State Road 9, which is the road’s official name on the map. 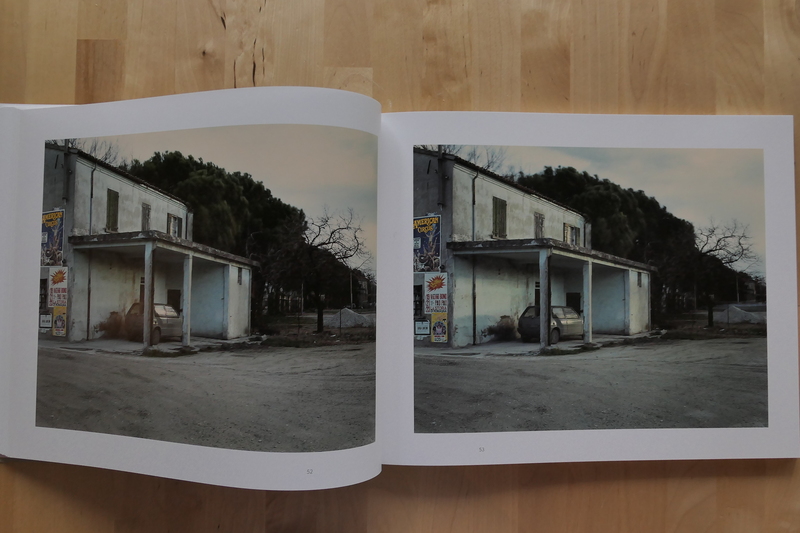 What you have is a detailed photographical atlas of Mr. Guidi’s habitat. One could say that if you go to the touristic centres in Italy, it has become difficult to look at them with an open and fresh gaze. Many elements are obvious, predictable, typical, fixed for eternity. 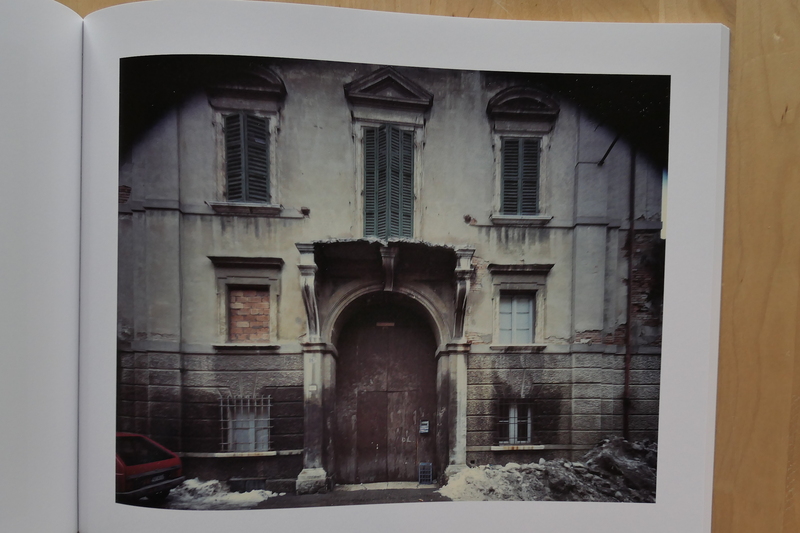 There are not many mysteries left on Parma’s piazza’s and under Bologna’s portico’s. Tourist industry involves the mis en scene as we know it, a trap for the eyes that is hard to evade. But this is not the case along the Via Emilia, where you are in the twilight zone between the city and the countryside. 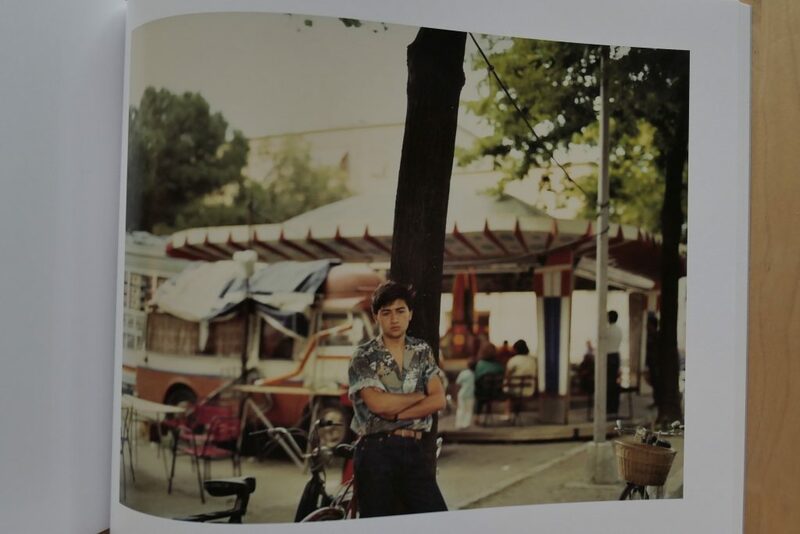 There, in the periphery of the urban centres, constant transformations of the scenes are allowed; In the periphery, people also behave more as they feel like, there are less norms to be followed. 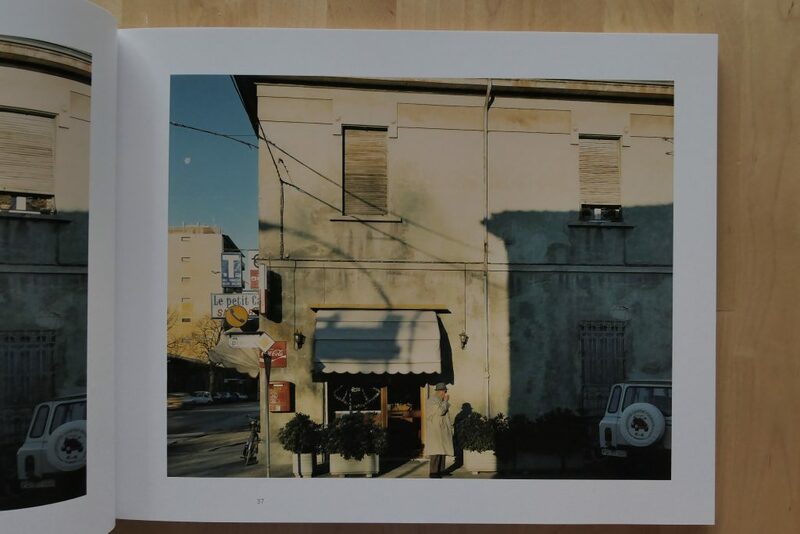 Along the Via Emilia, there is also more freedom for the gaze and what is great about Mr. Guidi’s “photographical atlas” is that it learns us how we can enjoy this freedom to the fullest. When going through this book we find ourselves in – to say it in the the words of Umberto Eco (since he is also from the region) – “a labyrintic territory in which we can move in many directions and in which we can discover an endless series of choices to look at things….”. 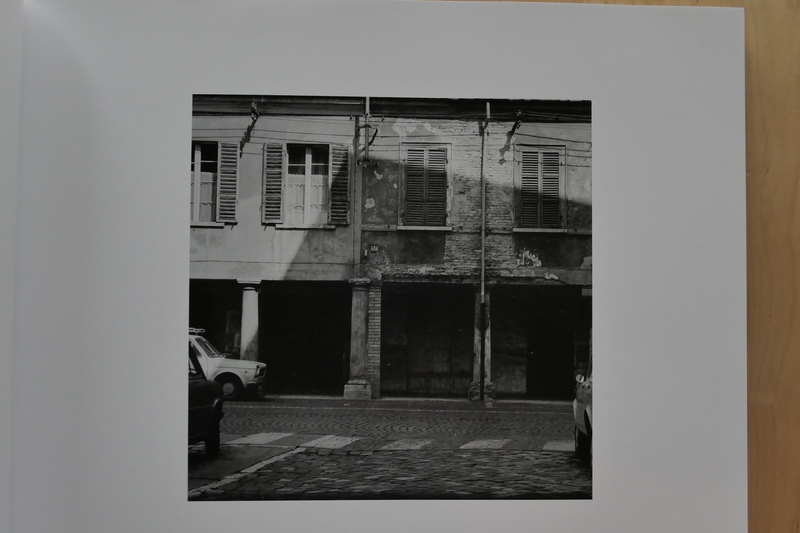 How to describe Mr. Guidi’s “labyrintic territory”, his “photographical atlas”? To begin with, we see many elements that are auto-referential. The photographer himself is mirrored from time to time in a shop window. We can sometimes see a shadow of his tripod and heavy camera. Sometimes, the use of a wide angle lens reveals itself by the vignetting effect. 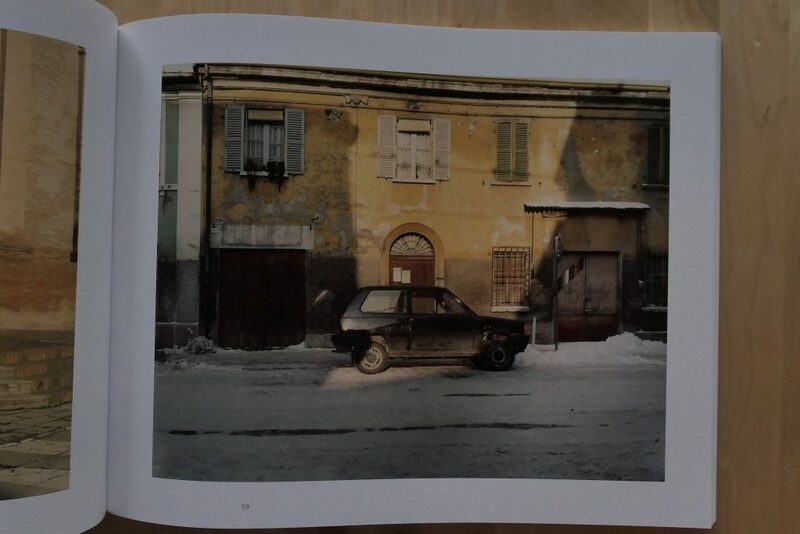 From time to time, the photographer’s odd Renault 4 is appearing in a given image. Over the years, we see a girl growing up. We also see friends from the neighbourhood standing before their houses. It makes that we quickly start to feel attached to the photographer’s personal and warm-hearted look at things and that we are drawn into his vision. It also makes that we learn that it is worth the trouble to look at banal items like a waste bin or a dirty bulldozer. 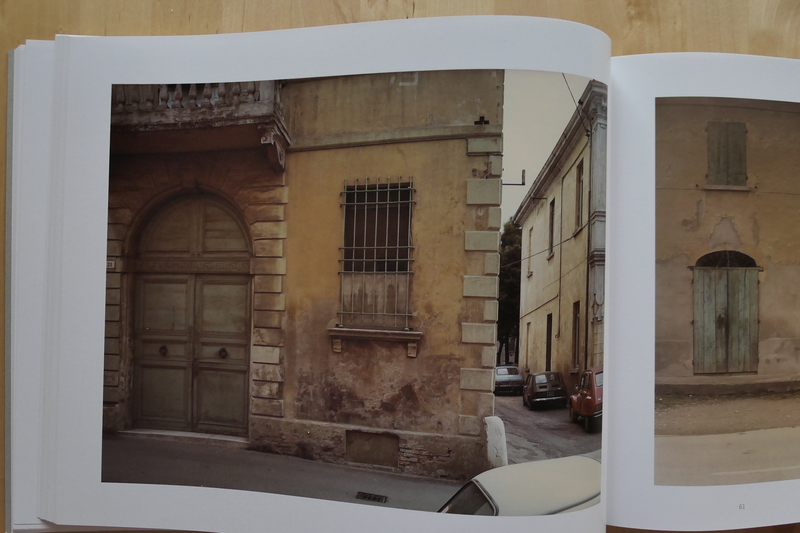 In the accompanying text, Mr. Guidi speaks of his photographs as “acts of devotion to things which are nothing”. 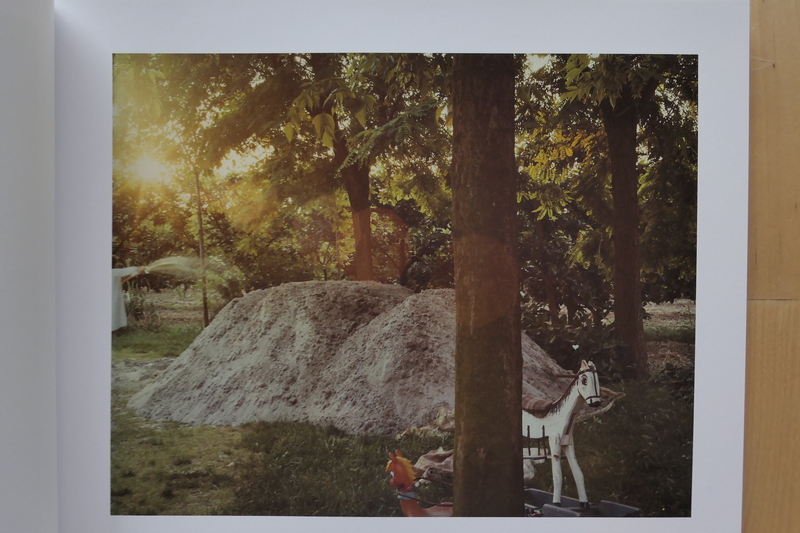 The photographs talk about his strong bond with everything that surrounds him in his habitat and they therefore obtain a quasi religious dimension. Apart from this dimension, there are many symbolic values attached to the atlas of his world. The first photographs in the first volume for example show us a number of entrance doors, as if they are inviting us to enter another world. And further on in this world, façades of buildings are presenting themselves as human faces having eyes that are looking at us as much as we are looking at them. Mr. Guidi explains that what he wants to show is the act of looking itself, the exchange of looks: “I show looking, that is essential”! Guido Guidi is maybe best known for the sequences and repetitions in his photobooks. 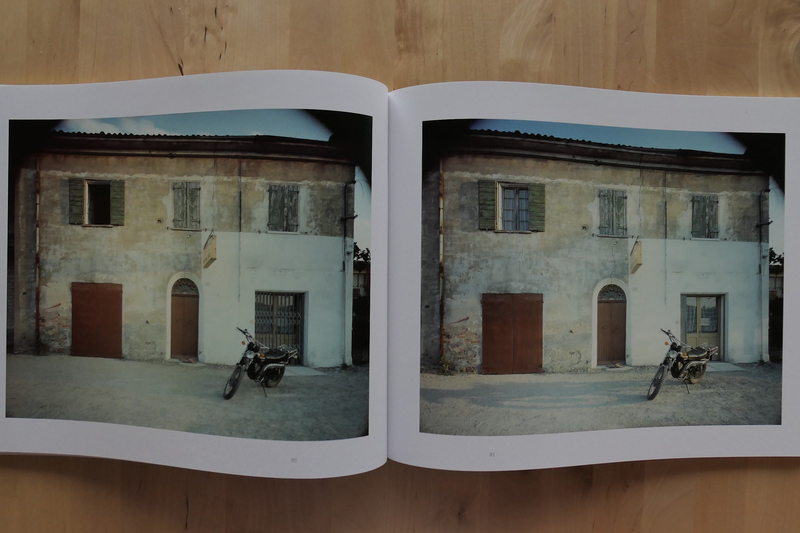 Often, the same setting is photographed at different moments in time. We can see so because in these sequences the light is changing, the shadows are moving, the snow is melting. What happens in such a sequence is that one look is followed by another look, perhaps a better one; the act of looking is first dissected then analyzed in its successive parts. The technique of repetition lends his work a vibrant vitality. 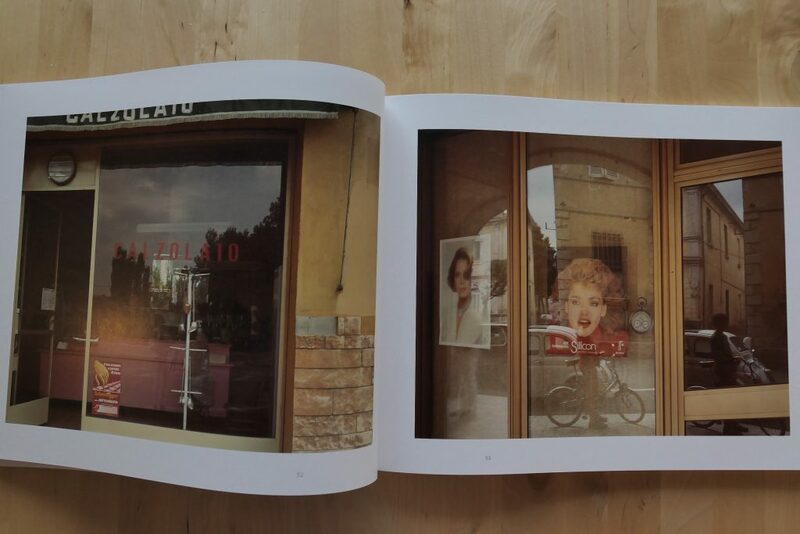 In Per Strada, this photographical atlas, we see much more than only a part of the world (northern Italy) that was photographed 30 years ago. 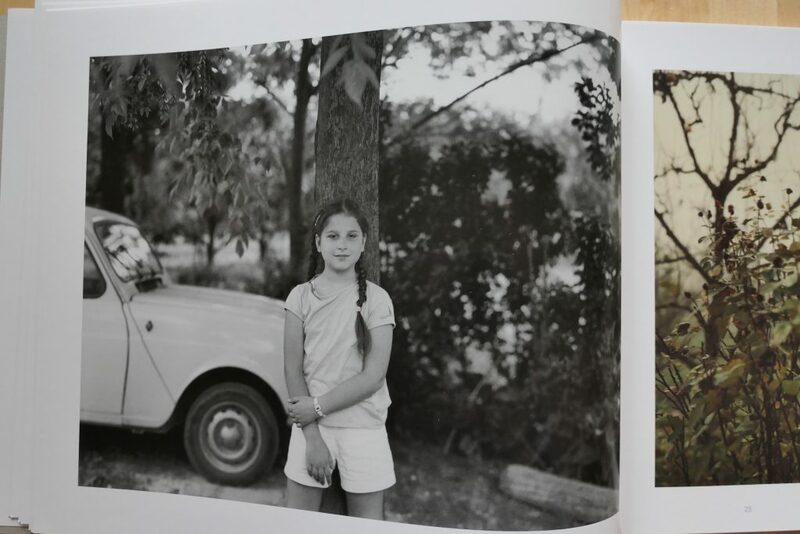 With all its references to art history and religion, with the auto-references, we see a highly symbolical world that is essentially photographical. Like a text that can be essentially literary or poetic. We literally see northern Italy during the end of the last century, but essentially a universe that consists of its own, seperate (photographical) units of space and time. It’s not that Per Strada is only about the twilight zone between city and countryside. Many pictures are made in the historical centre of Cesena. 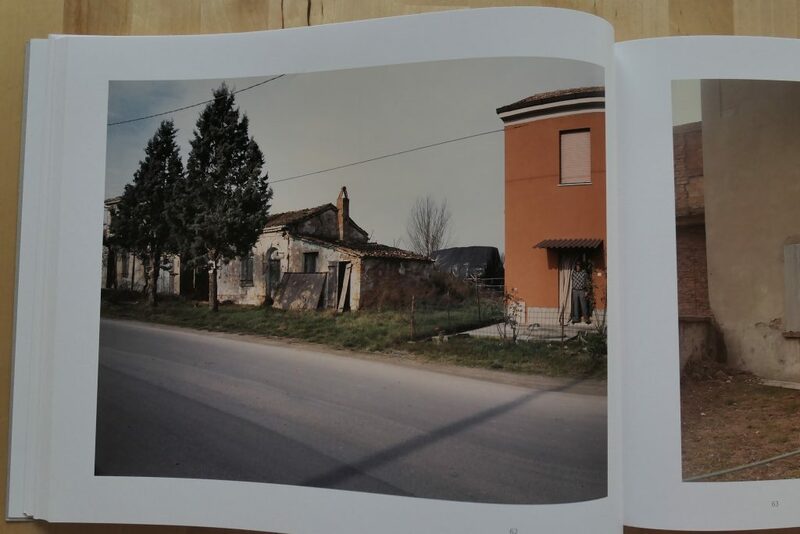 But in the way he shows us this centre, he makes use of what he has seen and learned in the periphery, at home. Mr. Guidi focusses on those scenes that are in constant transformation: a shadow on a wall, a car that is temporarily parked somewhere. And we realize that the centre only comes to life by virtue of its periphery. True artists have the eyes to evade any trap that is set for us!